Six Surprising Reasons Why Kelowna Business Owners Should Upgrade Your Business Signs This Spring! | Locally owned and family operated sign company producing quality interior and exterior signage for Okanagan businesses. 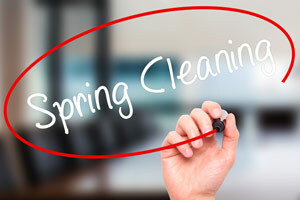 Six Surprising Reasons Why Kelowna Business Owners Should Upgrade Your Business Signs This Spring! 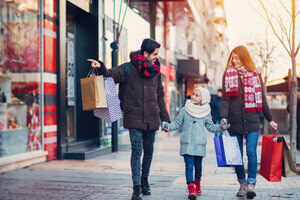 We can feel spring in the air here in Kelowna, and after the long Okanagan winter we’ve endured, chances are high that your business signage is feeling the effects of winters past as well. Spring is a great time to consider changing and refreshing your commercial signage and we’ve compiled six fantastic reasons why changing, upgrading and cleaning your signage will not only feel good, but will also contribute to some other unexpected benefits for your business! It is estimated that effective signage can generate over 50% of your business, so it makes perfect sense to ensure that you don’t neglect one of your biggest potential avenues of marketing to customers. Here are six great reasons why you should book an appointment for a sign upgrade today! Get your Kelowna business recognized with signage! Your sign is your first impression to new residents, tourists, and locals alike, so it only makes sense that some of the coolest signs get recognition in the way of awards, grants, nominations and free press. Take for instance the old Paramount sign on Bernard Avenue. When it was announced that the old, defunct theatre would be replaced with a brand new brew market, residents weren’t concerned about the new business taking shape, but rather what would happen to the old marquee sign that had now become a local landmark. Even the City of Kelowna, couldn’t deny how important that old theatre marquee sign had become to the culture of downtown Kelowna. It’s signage like this that can create a legacy for years and years to come. So ask yourself, would anyone miss your current signage if you were to replace it? If the answer is no, then let’s change that to a yes, and come up with a new sign design that stands out and gets more than just noticed! Make a statement with signage for your Kelowna business. We live in a tourist town and that’s great for business during tourist season, but what do you do when your sales slow down? Studies show that changing out your sign can reignite your business and can even signal to locals that you have changed things up and maybe they should come and visit to see what’s new. It’s been long said in the restaurant business that there is no point in changing your menu inside if you aren’t going to change your exterior to reflect the interior renovation. Let everyone know that you are open for business and always evolving! A new sign peaks everyone’s curiosity! Leave a lasting impression on your Kelowna customers. Sometimes when we think of impressions in marketing we think of pay per click marketing that is being tracked online. When we apply the word impressions to sign marketing at a retail level we are talking more about eyeballs. 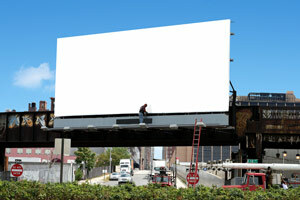 It’s estimated that a local resident can see your signage upwards of 60 times per month! That’s great marketing value, so consider that upgrading your usual signage will stand out to that customer even more! While they might pass you by everyday, perhaps the changing of your sign will make entice them to come through the doors as well! Increase your curb appeal and property value with new signage upgrades in Kelowna. Professional appraisers agree that a clean, impactful sign can contribute to higher property value. If you are a business owner, who also happens to own the building in which you are located, then you should consider the desired curb appeal generated by all the signage on your property. It’s not uncommon for buildings with high worth to have signage guidelines for new businesses, so that the look and feel remains consistent in size, color and shape. This continuity elevates a building’s overall aesthetic and in turn makes the businesses stand out by way of a more elegant look and feel. Another great trick, is to name the building for even more recognition, and what better way to celebrate a new name for your building than a new sign. Turn your business into a sign of inspiration! Impulse is key when you analyze the habits of potential walk-in and driving traffic. If you are in a well trafficked area, then having great signage as opposed to signage in disrepair can make or break the decision to enter your premises. Shoppers are impulsive and ensuring that your signage is located at a level that is easy to see, is clean and is also catchy will ensure that potential customers choose you over your neighbour! Use signage to create local pride and landmarks in Kelowna. This goes back to the first point of creating signage that becomes integral to a community, similar to the old Paramount marquee on Bernard Avenue. Consider how many times you’ve had to arrange a meeting with someone and said meet me at this sign or look for this sign and I will meet you there. Locals and tourists alike love landmarks and you have every opportunity when you create your signage plan to make sure that your sign stands out, represents your business and is a sense of pride not only for you but for your community. 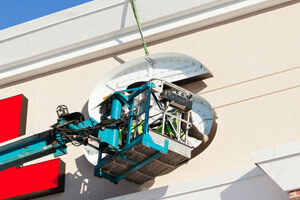 Are you ready to upgrade your sign? We are now booking for the spring season! Contact us now and let’s talk about upgrading your Kelowna business sign and giving your business a curb appeal refresh!